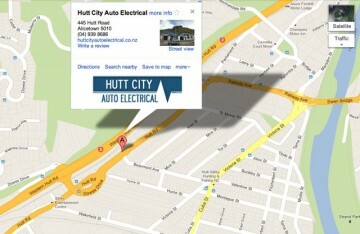 Hutt City Auto Electrical was first owned and operated by Hus Kala who opened in 1993 on High St, Lower Hutt. In 2003, Hus moved the company to the current location, on Hutt Road in Petone. 2010 saw them become MTA members and they continue to be members of the MTA. In 2013 Hutt City Auto Electrical was passed on to Stuart Ingham who had been working with Hus since 2008. As a new business owner, Stuart strives to provide a top quality service not only for the vehicles that come in but also to the customers who bring the vehicles in. So come and see the team at Hutt City Auto Electrical today and let us help you out.